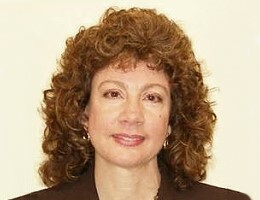 Joy Angelone - M-Pact, Inc.
Joy brings to M-Pact, Inc.’s clients her senior level, corporate / multi-site / division-level HR leadership experience that she’s gained in a wide range of business environments including Health Care Services plus global Commercial Construction and high volume Manufacturing / Distribution environments. Joy is known for her ability to balance business decisions and the personal impact that those decisions have upon the employees. She’s lived it…leading and managing HR projects that impacted her and her peers – HR projects that included rapid expansions and contractions and the introduction and implementation of new technologies. Joy communicates well with all levels in an organization. She’s equally at ease in the boardroom as she is on the production / warehouse floor – working with the “C-Level” executives and entry-level assemblers. Combining her formal Business Administration and HR education (Albertus Magnus College, Naugatuk Valley College & Stone School of Business) with her SPHR certification, Joy is recognized for the great business sense and common sense that she brings to every situation.